Known affectionately as "Ei-chan," Yazawa Eikichi is one of Japan's legendary rockers and probably the closest thing the music scene has to a Japanese version of Elvis or Mick Jagger. He has a similar high-energy persona and an almost reptilian way of moving, while his mike stand twirling is clearly borrowed from Rod Stewart. With over 50 singles and 60 albums to his name, he's also one of Japan's most prolific artists, and holds the record for the most Top 10 albums on the Oricon chart, with 46. Though his heyday as a recording star is in the distant past, his popularity as a live performer lives on and he's still a familiar sight on TV as the pitchman in TV commercials for several major corporations including Suntory Beer and Sony. Another of his nicknames, "Boss," made him the perfect star to promote Suntory's canned coffee of the same name in the 1990s. Yazawa was born in postwar Hiroshima, and his father suffered from radiation sickness. He was raised in poverty by relatives but found solace in the music he heard on the radio. He took a night train to Yokosuka in 1968, with nothing but a guitar and ¥50,000 he had saved from a part-time job. He later said he had planned to get off the train at Yokohama station, as the Beatles were from the port city of Liverpool, but he had been sitting on the train for so long that he had to get off. Over the next couple of years, he worked in places such as Chinatown and performed in the "go go clubs" around Yokosuka and Kawasaki that were frequented by U.S. military personnel. He sent a demo tape to Toshiba EMI (because EMI was the Beatles label, of course) but was rejected. A couple of band lineups followed, with "Yamato" being the one that Yazawa thought would make it. But after they broke up, Yazawa started handing out flyers looking for new bandmates. In 1972 he formed the rock group Carol, citing the Beatles and the Rolling Stones as his musical influences and with himself on bass and vocals, and recruited Johnny Okura on rhythm guitar, Uchiumi Toshikatsu on lead guitar and Okazaki Yu on drums. Though they started as a Beatles copy band, Yazawa with the mop top, Okura was more keen on the Fab Four's regent hair and leather jacket look from their Hamburg days. Okura and Yazawa saw themselves as the new Lennon and McCartney and wrote many of the songs together. 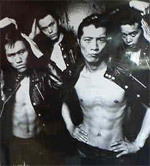 But Okura's repeated drug use led Yazawa to take over as band leader. Carol had a string of hits, including Namida no Teddy Boy and Funky Monkey Baby, but friction grew between the members and the band broke up in 1975. After the split, Yazawa went to the U.S. to launch his solo career. His first solo album, I Love You, OK, was recorded at the A&M studio in Los Angeles, a city that later became a second home to Yazawa. A couple of years later, in 1977 he was the first ever Japanese rock artist to perform at the Nippon Budokan hall in central Tokyo. He holds the record for the most performances at the "holy ground" of Japanese rock, having played there over 100 times. 1978 was another big year, with the chart-topping album Gold Rush and a concert at the Korakuen baseball stadium (what is now Tokyo Dome). With an attendance estimated at 50,000, it was said to be the biggest ever rock event at the time. Looking to expand his career beyond Japan, in 1980 Yazawa moved to Los Angeles, where he continues to keep a home. Like many of Japan's top stars, he considered having a base away from home and the local media as a way to maintain his sanity. He signed with Warner Pioneer and over the next couple of years recorded three albums, Yazawa, It's Just Rock n' Roll and Flash in Japan. He recorded and performed with members of such top groups of the time as Little Feat and the Doobie Brothers. But despite his connections and the worldwide release of his albums, sales and the public reception was nowhere near what he had enjoyed at home. The 1990s was a relatively quiet decade for Yazawa, and also the period when he flirted with acting. One of the biggest events happened in 1998, when it was revealed that he had been embezzled out of ¥3.5 billion in an Australian property deal. Ever since the breakup of Carol in 1975, Yazawa released at least one album and single, and played a concert tour every year until 2002. 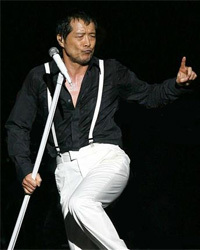 Staples of a Yazawa concert include his black shirt and white suit, lots of dynamic mike stand twirling, a towel that appears midway through the show and is draped, working class hero style, over his shoulder (fans also wave their towels at set times during the show), and ending with such hits as Tomaranai Ha-ha and Traveling Bus. In 2008, and after several years of preparation, Yazawa's daughter anounced that she was launching her music career with the artist name Yoko. During her six years living in Los Angeles as a teenager, she received vocal lessons from Seth Riggs, the man who trained such top stars as Michael Jackson and Madonna. But the was smart enough to finish a four-year course at Sophia University in Tokyo before becoming a full-time musician with the major Avex label. With her father's DNA (and contacts), big things are expected of her. Due to his daughter's move back to study in Tokyo in 2004, Yazawa was spending more time in Japan and was once again back in the spotlight. At that year's Rock Odyssey festival, he received top billing ahead of the Red Hot Chili Peppers. In 2005, to mark the 30th anniversary of his solo career and in an effort to get back to his roots, he played a sold-out tour of the country's smaller live venues. 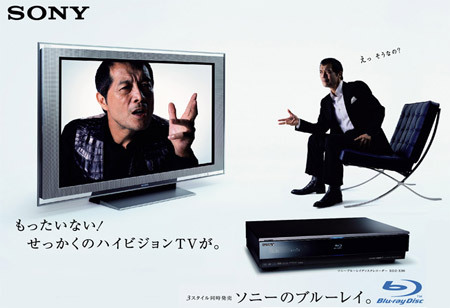 TV commercial appearances became more common and, with the CMs usually featuring a Yazawa song, a new generation were introduced to the star their parents revere and call Ei-chan. Yazawa's Door is his official website (Japanese).